Videos - Collaborative Family Law Group of NE FL - Collaborative Divorce, a better way Collaborative Family Law Group of Northeast Florida, Inc.
Video from the Today Show on an interview with a couple who divorced using the collaborative process. 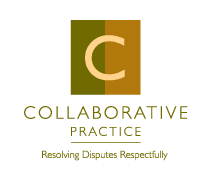 Collaborative Law: Managing and Resolving Disputes Differently. This video gives a clear concise summary of this area of the law.